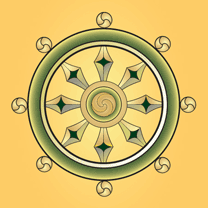 The Insight Retreat Center (IRC) is a community-based retreat center just outside of Santa Cruz, CA. We offer silent meditation retreats throughout the year primarily focused on insight meditation (Vipassana) and the liberation teachings of the Buddha. IRC is entirely supported by a wide community of practitioners, volunteers and donors whose generosity is the foundation for the center. With no paid staff, the running of our retreats expresses the integration of the practice, service and goodwill of our volunteers. Retreats at IRC are offered freely, as gifts to those who attend. This means there is no cost for retreats. Donations by those who attend our retreats make it possible to pass this gift forward to others who come to IRC. Volunteering at IRC is a rich and dynamic aspect of the practice of IRC. It brings mindfulness and service together in a way that supports both. If you are interested in volunteering, please fill out a Volunteer Application, which lists the wide range of volunteer possibilities we have. A crucial area we particularly need help with is the maintenance of our building and grounds between retreats. We welcome equally people of all cultural, ethnic, and religious backgrounds, racial identities, socio-economic class, sexual orientation, gender, identity and education.